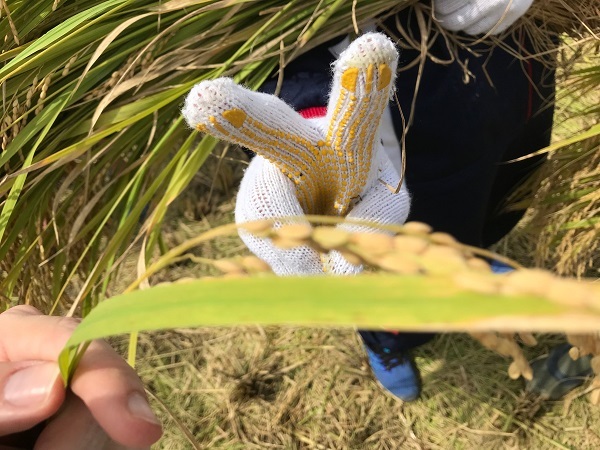 This week, students and teachers did rice harvesting. I thought it would be hard work and tiring, but I enjoyed it a lot. Everybody works together so it is not such hard work to cut the rice stalks and carry it to be threshed. It was real teamwork! It was perfect weather, not too hot and not rainy. We will have several opportunities through the year to eat the rice we harvested. I'm looking forward to it!